The link below is to an article reporting on a restaurant that is being investigated for discrimination because it offered discounts to people bringing in a church bulletin on Sundays. 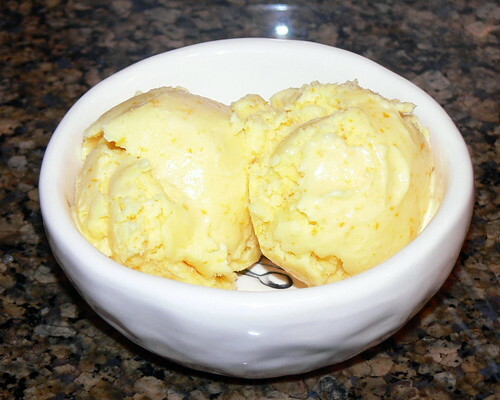 The weirdest food I have ever eaten was probably Orange Ice Cream that was served up in an orange. I had this at an Indian restaurant in Sydney many years ago. The Orange Ice Cream was quite OK and I would have it again should I ever come across it. Snares abound as Christian seeks to protect wife, baby and future faithful. ISTANBUL, September 12 (Compass Direct News) – Egypt’s most famous convert to Christianity is a prisoner of his own home, hiding for his life. After Mohammed Ahmed Hegazy, 25, became the first Muslim-born Egyptian to file a case a year ago for his identification card to reflect his newfound faith, his face has been shown on TV channels and newspapers. Anywhere he goes, he might be recognized by fanatical Islamists bent on killing him – besides his own family members, who also want him dead. In the last eight months, since an Egyptian court closed his case in a Jan. 29 court ruling that declared it was against Islamic law for a Muslim to leave Islam, Hegazy has had to move five times with his wife and baby daughter. “The verdict for my case was discriminatory [on the part] of the judge,” Hegazy told Compass in an interview last month. The judge based his decision on Islamic law, which says one can convert “up” in the Muslim hierarchy of religions – from Judaism and Christianity to Islam – but not vice versa. But months after the final court decision, even after the issue is fizzing out in the media, Hegazy said that his life is in danger – as is that of every convert in Egypt. “The most difficult thing for me is that the lives of my wife and daughter are in danger all the time,” Hegazy said. In one instance a year ago, he and his family barely escaped alive. Last October, he received a phone call from a friend who told him that one of his own lawyers had given authorities his address. His friend told him he might have to move in the next few days and to be careful. A group of Islamists camped around his former house for days. They also set fire to the apartment of Hegazy’s next-door neighbor, killing her. He said the neighbor, whose name was withheld for the security of her relatives, was the best friend of his wife and had helped them in their ordeal. “The church denied that she was killed, and it was never reported publicly,” he said. The convert’s hope is that one day he can get his family out of the country, but without passports that is a remote possibility. Passports are issued in the hometown of the citizen. Both Hegazy and his wife are well-known and unwelcome in their hometowns. Hegazy’s father has also filed to gain custody of his baby granddaughter so that she is raised Muslim. He has also given authorities false information, such as asserting that Hegazy hasn’t served his military service, and has publicly said that if his son doesn’t recant his faith he will kill him. “Many lawyers volunteered to file a case against me,” he said. Hegazy risked venturing out of his house on a hot afternoon in August to speak to Compass. At a restaurant, he looked over his shoulder nervously to make sure he wasn’t followed. What the convert-turned-political activist really wanted to talk about was the situation of thousands of converts in his country who suffer discrimination by the state, family and even local churches, he said, because the country’s constitution is based on sharia (Islamic law). Hegazy minces no words when it comes to what he calls the inability of the church to stand up to the forces of government and Islamic society in order to defend the rights of converts. “The church in Egypt is impotent and cowardly,” he said, noting church leaders who do not stand up for religious rights and claim they do not evangelize and baptize converts. He cited Coptic Bishop Bishoy, who said that his church is against “proselytizing” and spreading the gospel and that the Coptic Church is not doing it. Coptic churches in Egypt – Catholic and evangelical – publicly claim they do not baptize converts, each blaming the other for doing so, while priests and pastors are known to baptize in secret so as not to provoke violent reactions from Islamists and the government. Hegazy said that reactions like this leave converts feeling marginalized. Hegazy and other religious rights activists believe that individual cases such as his or that of Maher El-Gohary, filed last month, alone cannot gain legal rights for converts who wish to become officially Christian and accepted in society. As have other activists, Hegazy said that if Egyptian converts living overseas and in Egypt were to file a joint case they would have more leverage. But they need greater support from human rights groups, which are not pushing enough for convert cases, he said. “I can’t understand how we have so many human rights organizations, and Christian ones, and no one is taking any action,” he said. Hegazy suggested that human rights organizations should publicly advocate a law that supports freedom of conversion, including committees to monitor developments. If such a law were in place, he said, the Egyptian government would stop using Muslim fundamentalist reactions as an excuse to avoid enforcing justice. “This way the government can’t say, ‘We don’t [change religion on identification cards] because of fundamentalism, it will upset our society,’ because there will be a law in place,” he said. Additionally, he said, converts must also fight against lack of action by human rights organizations. Hegazy and his lawyer are still waiting for a court date for his appeal. They applied for it in February. “Every week we go to the court to find out when the appeal date is set for,” said Hegazy’s lawyer, Gamal Eid of the Arabic Network for Human Rights Information. At a recent court visit they were told to come back in October, leading them to believe that perhaps they will get a court date that month. Hegazy said he is ready to fight his case to the end. Already, he said, his case has made one gain for Egypt’s converts: the recognition that there are such persons as “converts,” and they are in the public debate.